The involvement of a representative of Artsakh in the Armenian delegation could be real alternative in the current negotiations, Director of the Regional Studies Center Richard Giragossian has said, commenting on the latest developments in Armenian-Azerbaijani conflict over Nagorno-Karabakh. In his words, the entire process should evolve around finding an appropriate mechanism "to maximum meet the peace needs". 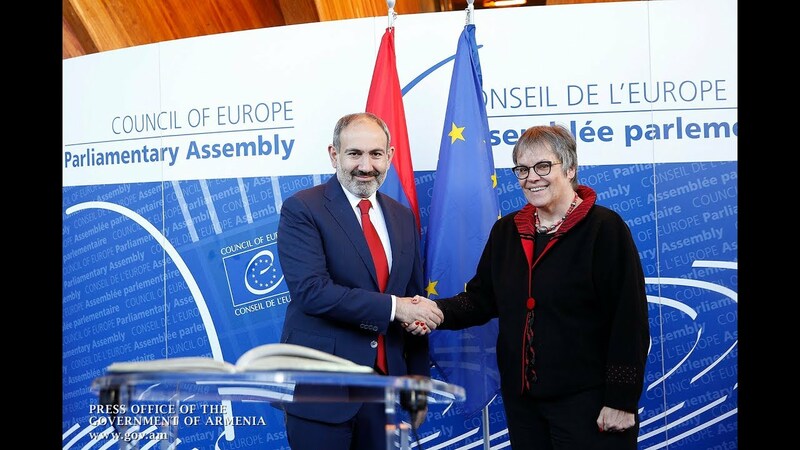 In an interview with Tert.am, Giraggossian also highlighted an element of diplomacy in the recent meeting between Armenian Prime Minister Nikol Pashinyan and Azerbaijani President Ilham Aliyev. “The meeting of the Armenian prime minister with the Azerbaijani president is, of course, important. It’s significant that there is some diplomacy instead of what we saw. The recent anniversary of the attack from Azerbaijan in April 2016 [is really remarkable]. Having said that, I think that the fact that we hail the meeting as a sign of progress demonstrates how low the expectations really are. “The other part is there was no real breakthrough. The real focus and priority for the peace process - and for Armenia - is how to include Nagorno-Karabakh, its democratically elected representatives in the process. And in that context, I am worried that after the meeting in Vienna - looking forward to the coming year - we will see a return of a risk of renewed hostilities for fighting - mainly because of dangerously high expectations. The Azerbaijanis are seemingly expecting Armenia to give concessions as a compromise, which are not realistic. At the same time, Armenia diplomatically is adopting a more agressive and assertive posture,” he noted. The expert further stressed the importance of developing creative approaches. ''One alternative could be the inclusion of a representative of Artsakh in an Armenian delegation. In other words, we could be innovative and creative to find ways to overcome the obstacles. Giragossian also agreed that the Minsk Group is unwilling to give up its monopoly on the diplomacy which is ''is no longer helpful''. ''We need to deepen both democracy but also diplomacy. The Minsk Group is important, but it's not the solution to all the problems. Moreover, I don't think their monopoly – as the only diplomatic entity – is necessarily helpful," he added.